Another sweet pastry that guests will absolutely love indulging in can be found in the France Pavilion in World Showcase. Crepes des Chefs de France is a small cart location located in the very front of the pavilion right near World Showcase Lagoon. Guests can order soft serve ice cream and assorted beverages in addition to the perfect on the go snack. 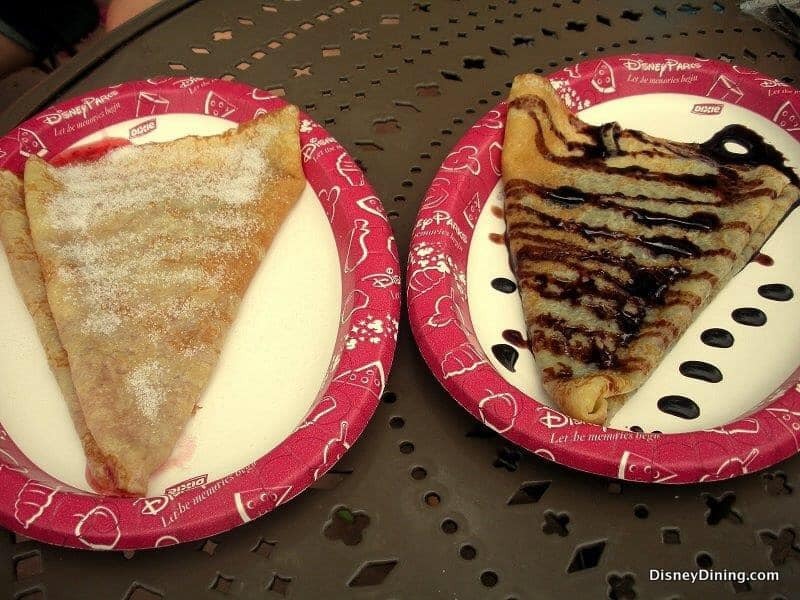 The Chocolate Crepe is light, sweet, and the perfect snack to enjoy while strolling the quaint and charming streets of the France Pavilion.